At the same time, Saito was kicking off a career as a painter. 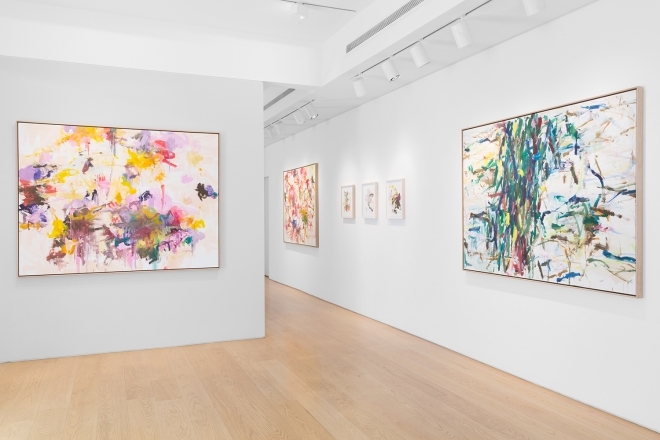 In the 1970s and ’80s, he served as studio assistant for a handful of legendary painters, including Larry Poons and Helen Frankenthaler. Eventually, Saito abandoned his theater work to focus on developing his particular style ofColor Field abstraction, often featuring calligraphic characters drawn from an alphabet of his own creation.